At Classic Collection Holiday we are delighted to be able to offer a choice of 8 day (7 night) luxury boutique river cruises on some of Europe’s most loved rivers in conjunction with award winning cruise operator Uniworld. In addition, our partnership allows us to tailor your holiday to include a cruise together with a luxury hotel stay at the beginning or end of your cruise. See our City Breaks programme for our range of luxury city hotels. 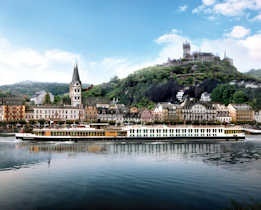 Our boutique river cruises include voyages through Austria and Germany, or from Hungary through Slovakia and Austria into Germany, both on the mighty Danube River. 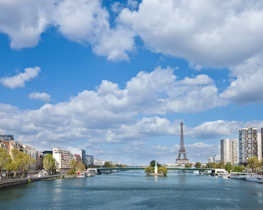 Experience a trip along the fabled river Rhine through Switzerland, France, Germany and The Netherlands and in France join a round-trip along the river Seine starting and ending in Paris and taking in the Normandy landscape on the way. 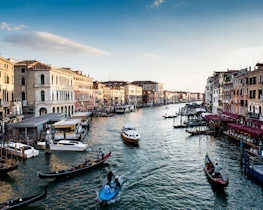 Uncover the hidden treasures of Venice and Northern Italy on a trip along the river Po, or see the stunning Douro Valley on a luxury Douro River cruise, from Porto in Portugal and in to northern Spain. 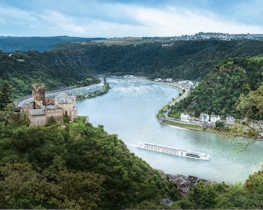 Award-winning Uniworld draws on decades of expertise in the luxury cruise world and are acknowledged by the industry as the best river cruise company. 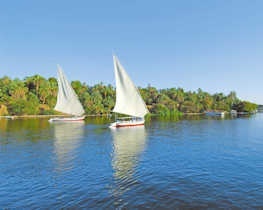 They offer unsurpassed luxury and matchless service and exquisite, one-of-a-kind ships akin to five-star boutique hotels with lavishly appointed staterooms and suites; and additionally for suite stays, in-suite butler service. You can expect culinary excellence, fascinating itineraries and an outstanding range of onboard and onshore experiences, adventures and activities. 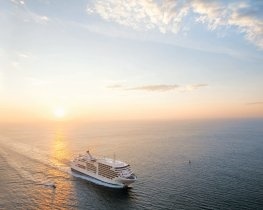 An unmatched level of all inclusive benefits include an unlimited choice of premium spirits, beers and ales from small, speciality brewers and the finest wines carefully selected by the ship’s sommelier and sourced from the best vineyards along the route, plus exquisite, fine dining cuisine is on offer around the clock. In addition, there’s an excellent choice of daily onshore excursions and exclusive experiences, plus onboard entertainment and enrichment such as local musicians, dance performances and lectures by historians. Exercise and wellness opportunities are available for those wishing to keep up with their daily fitness regime, and for your convenience, all gratuities both onboard and onshore are included as well as complimentary ship-wide WiFi. For a chance to experience the culture, cuisine and attractions of the places visited there is an extraordinary range of exclusively created shore excursions included, with several options for each day of your cruise. There are guided walking city tours, Village Day adventures for an in-depth look at local life in charming towns and villages, and accompanied countryside hikes and bicycle rides with Nordic walking poles and bicycles provided complimentary. And there are immersive destination experiences on a Do as the locals do specialty excursions; sit down to a local-inspired dinner, enjoy a wine tasting party in the home of local host or join a cooking class. In addition, there are once-in-a-lifetime opportunities on the Exclusive Experiences programme with private, after-hour visits, wine tastings, intimate concerts and guided tours of museums with experts, and more – the choice is yours. On selected dates and routes a Generations programme has been specially designed for travellers of all ages and is ideal for the whole family with its fun-filled activities and cultural experiences. In addition to included excursions there is a carefully curated Masterpiece Collection, a series of optional excursions available at an additional charge. Step on board the luxurious 150-guest S.S. Maria Theresa for an unforgettable eight-day cruise along the waters of the mighty Danube River.